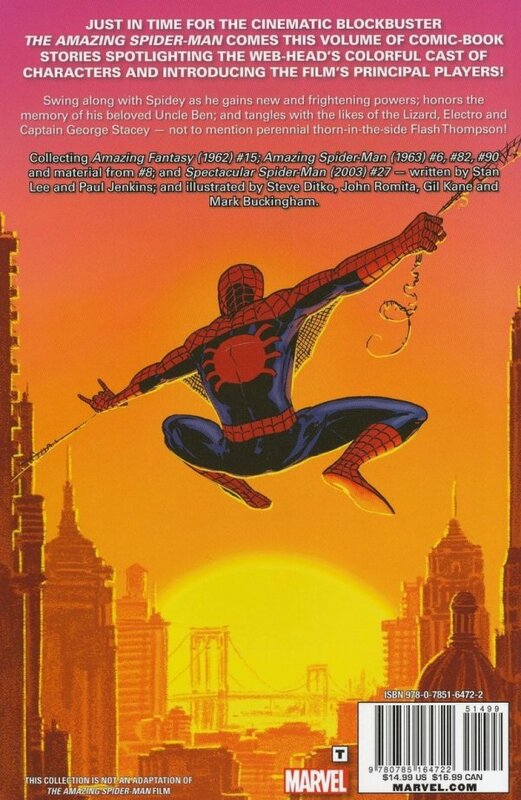 Just in time for the upcoming cinematic blockbuster The Amazing Spider-Man comes this volume spotlighting the web-head's colorful cast of characters and introducing the film's principal players! Swing along with Spidey as he gains new and frightening powers; honors the memory of his beloved Uncle Ben; and tangles with the likes of the Lizard, Electro and Captain George Stacey - not to mention perennial thorn-in-the-side Flash Thompson! Collecting AMAZING FANTASY (1962) #15; AMAZING SPIDER-MAN (1963) #6, #82, #90 and material from #8; and SPECTACULAR SPIDER-MAN (2003) #27.